Five days into his retirement and Conor McGregor is already getting his head turned. 'The Notorious' announced he was retiring from "the sport is formally known as Mixed Martial Art" earlier this week but most fight fans and pundits have convinced themselves that this is no more than a negotiating ruse. "I wish all my old colleagues well going forward in competition," McGregor declared as part of the second retirement announcement he has made in social media in just over three years. Bygones, he was assuring the world, were bygones. It did not take him long to start firing shots at a very particular 'old colleague'... and Mark Wahlberg. 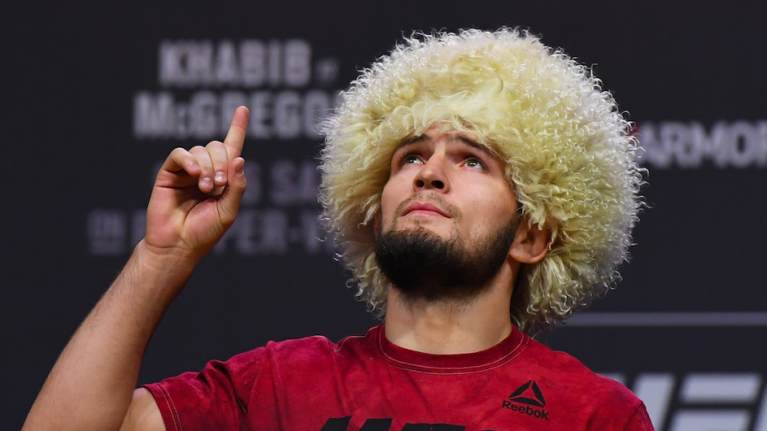 The 30-year-old was up on Saturday night to check out UFC Philadelphia - praising the KO win for Justin Gaethje in the main event - and could not resist a nibble when he saw his old foe Khabib Nurmagomedov talking about fighting 'five championship rounds' in training. In typical McGregor style, of late, he slung some insults and got a lot of eyeballs on his tweet that got in a promotional plug or two. The post ended with #ad and 'The Eagle' was quick to bite back. Having made McGregor tap during their UFC 229 title fight, in October, Nurmagomedov will invariably have the upper-hand when it comes to these social media spats. This is not the first time the Dagestani has slung the 'Twitter Warrior' insult at the Dubliner. If McGregor truly is retired, though, he should care not. The back and forth has ensured this upcoming party in Las Vegas has got a lot of traction. If McGregor does have any of that old spark and desire to get back in the fight game, Nurmagomedov's comments should be more than sufficient fuel. If not, there's always that fight with 'Marky' Mark Wahlberg to prepare for.